candidanimal: What did I Buy in Kobe and Okayama? What did I Buy in Kobe and Okayama? 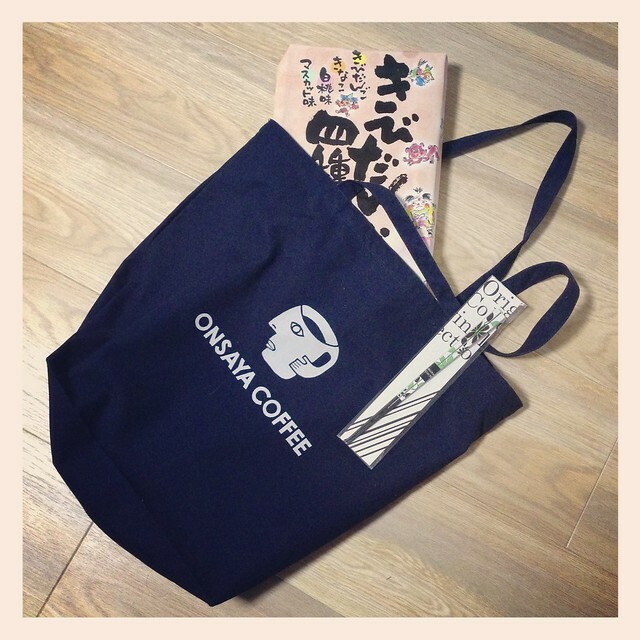 In Okayama I paid homage to my favorite cafe, Onsaya, by purchasing their signature tote bag and thus becoming a walking advertisement for them. I also picked up a box of Kibi Dango, which are the signature souvenir to buy in Okayama. Lastly, I found this unique pair of hand-painted chopsticks from a small boutique in downtown Okayama. My brief weekend in Kobe was commemorated by the purchase of the Starbucks Kobe tumbler (I guess I’ll be collecting these too). And no weekend in Japan can conclude without the purchase of some edible souvenirs, in this case, a cookie assortment form Kobe. I also picked up a copy of Lula at a Japanese bookstore near Sannomiya Station. This edition has some of the best photo shoots I’ve seen in a long time. I will be savoring every page over lattes this winter. Lastly, I bought a handmade fabric glasses case from a small boutique in Kitano. Labels: 2013, JAPAN, JAPAN Kobe, JAPAN Okayama, What Do I Buy? What did I eat in Nagasaki?